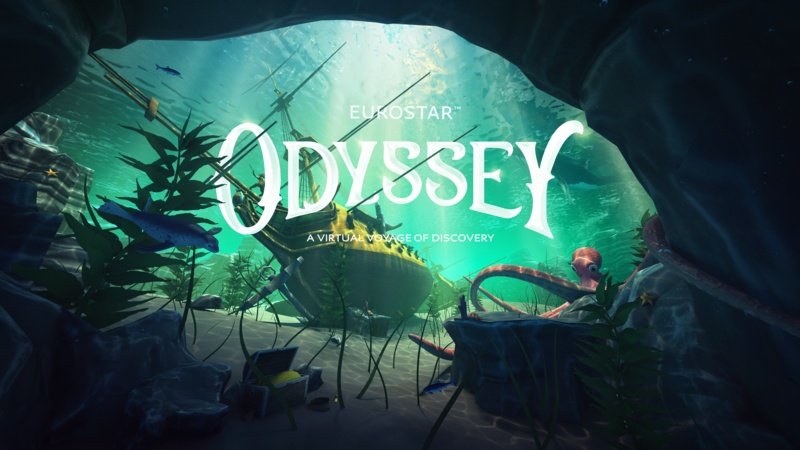 Eurostar today announces ‘Eurostar Odyssey’, the first virtual reality experience designed to enhance a journey through an immersive onboard adventure, with specially designed headsets distributed throughout the summer at peak travel periods for families. 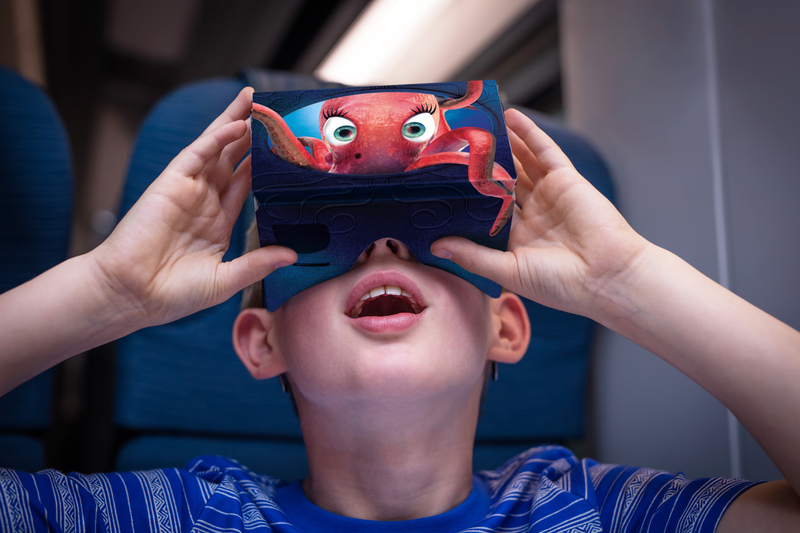 As travellers make their way at high-speed under the channel, they’ll enter the hidden depths of the sea bed for the first time, looking into a virtual world of sea creatures, sunken treasures and mysterious sea-scapes. As the summer holidays begin, the unique experience has been created to help the young and the young-at-heart see the journey to Europe in a new dimension. 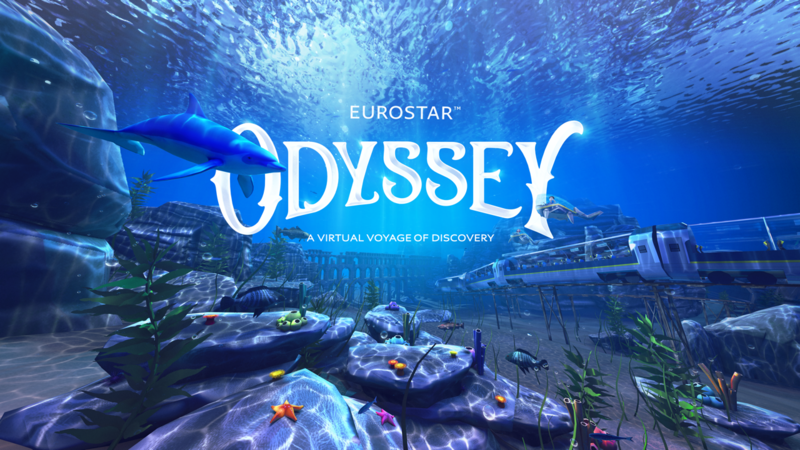 The free adventure is accessed by logging on to Eurostar’s onboard entertainment system on a travellers own Apple or Android device, and opening up the voyage of discovery. As travellers take their seat, the roof of the virtual train transforms into a glass ceiling revealing the underwater world around them. Guided by two ocean explorers, Rose and Benoit, the journey is packed full of stories from pirates’ legends of lost treasures, to meetings with mermaids and an encounter with a charismatic octopus. A gaming element allows voyagers to count different species along the way, for those that like to compete. Available on all of Eurostar’s new e320 and refurbished e300 trains through the on board entertainment system directly to a user’s own device, the experience will be accessible on services between London and Paris, Lille, Brussels, Lyon and the South of France. All Eurostar e320 and e300 trains offer wifi connectivity with over 300 hours of onboard entertainment streamed to customers’ personal devices, providing travellers with a variety of TV shows, films, documentaries, games and news whilst travelling at high-speed across the European countryside.